12.02.2017: Elsewhere in the M-Sport team, Teemu Suninen and Mikko Markkula came out on top in an epic battle for second position in the WRC 2 category. Elsewhere in the M-Sport team, Teemu Suninen and Mikko Markkula came out on top in an epic battle for second position in the WRC 2 category. 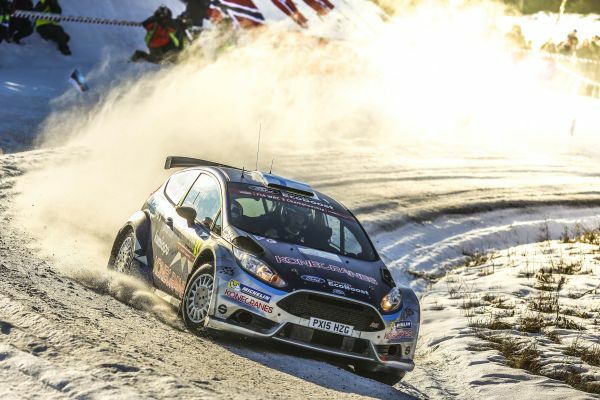 Quickly getting to grips with his new Ford Fiesta R5, the young Finn secured three stage victories en route to a fine second place on what was only his second ever outing at the Swedish fixture. Bettered only by local lad Pontus Tidemand who hails from the rally’s Värmland region, Suninen had the better of a number of his vastly more experienced rivals and also secured 10th place in the overall standings – a promising start to his M-Sport debut. In the sister M-Sport Fiesta R5, Eric Camilli and Benjamin Veillas were learning quickly on a surface they have only ever experienced once before. 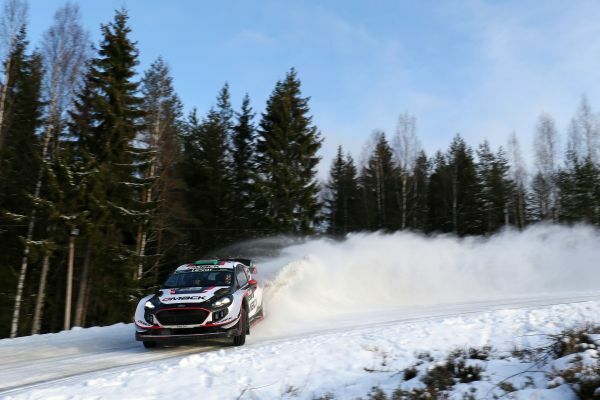 Setting good pace and regularly challenging their Scandinavian rivals, the Frenchmen secured a fine fourth place overall in the WRC 2 category. “I think we can be happy with our weekend. This was only my second time at Rally Sweden and I was quite happy with my pace and developed a good feeling with the car. “We had a big battle with Veiby for second place today and it was good to come out on top of that one. The conditions were quite challenging and it wasn’t so easy to keep the rear of the car in the ruts, but we had a really clean run and everything worked out okay. “I’m really happy with our performance this weekend. We had to learn really quickly as there is only one snow rally on the calendar and this is a surface that I really don’t know so well! I think we managed to do that and it was great to challenge with the guys who have a lot of experience on events like this. Elsewhere in the service park, Elfyn Evans and Daniel Barritt were running in sixth place after running wide and hitting a rock on the first pass of Svullrya (SS4). The mistake resulted in an unlucky puncture and cost the Welshman almost two minutes to the leading pack. Opening the road for the remainder of the rally, the pairing fought back admirably whilst tasked with the arduous job of sweeping a clean line for the cars behind. As the final day of competition got underway however, there was late drama for the Brits as their DMACK-clad Ford Fiesta WRC suffered what appeared to be an ignition coil failure over the opening stage of the morning (SS16). Known for his expert mechanical knowledge, Evans refused to give up the fight and was able to repair the issue before the following speed tests. Thanks to his skill as a technician as well as a driver, he maintained his sixth place and a good haul of points. In the RC4 class, Sweden’s Daniel Röjsel delivered a master class behind the wheel of his one-litre Ecoboost Ford Fiesta R2. Claiming victory by an impressive nine minutes and 26.9 seconds, the Ford Sweden supported youngster also won nine stages and was the highest placed two-wheel-drive competitor.